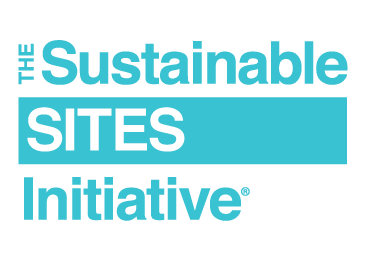 After years of analysis and development that brought the Sustainable SITES Initiative (SITES®) rating system to market, it is thrilling to see it take the next step as GBCI® introduces professional credentialing via the SITES Accredited Professional (SITES AP) exam. The SITES AP program, developed by GBCI, establishes a common framework to define the profession of sustainable land design and construction and also provides landscape architecture professionals with the opportunity to demonstrate their knowledge, expertise and commitment to sustainability principles. The SITES AP identifies an individual who possesses the knowledge and skills necessary to support the SITES certification process, including participating in the design and development process, supporting and encouraging integrated design, managing the application and certification process and providing advocacy and education for the adoption of SITES. This is the culmination of a process that brought many players to the table, all committed to the cause of sustainable landscape design. Widespread acceptance of the education and skills that the SITES AP personal designation represents elevates landscape architecture and educates the public about the critical role it plays in protecting and healing the environment. The SITES AP also provides a professional distinction in the marketplace. The American Society of Landscape Architects (ASLA) is so committed to the credential, in fact, that it will host an exam-taking event on Tuesday, Oct. 25 at the 2016 ASLA Annual Meeting and EXPO in New Orleans during its annual meeting. To secure a seat for this opportunity, or to register for a SITES AP exam near you, visit sitesonline.usgbc.org. The SITES AP will give holders an advantage in the marketplace. Early adopter pricing is now available for the SITES AP exam. The exam fee for USGBC® and ASLA members, LEED Green Associates, LEED APs, and WELL APs is $300 through June 30, 2017. Once you register and pay for your exam, you have one year to schedule your session. You may contact GBCI to request one six-month extension of this one-year period. To be eligible to sit for the SITES AP exam, applicants must be at least 18 years of age. There are no other prerequisites to sit for the SITES AP exam, though prior SITES project experience is highly recommended. The SITES Rating System and the SITES Reference Guide are both vital resources. Registrants should download the Rating System for free on the SITES website and purchase the Reference Guide to use as a study guide. ASLA members can request the ASLA discount price of $199 via email. The introduction of the SITE AP opportunity marks a major advance for the profession—and for you. Take the exam, and help forward sustainable landscape design as a critical approach to solving our environmental issues. For more information regarding the SITES AP credential and exam, visit the FAQ section on the SITES website.